A zoning system is designed for the many ways you use your home. 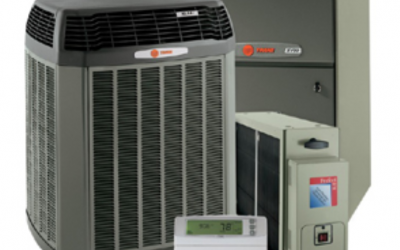 Maybe you’re caught up in family “thermostat wars?” Or perhaps you have unoccupied areas that do not need air conditioning? 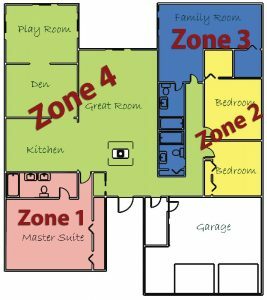 A zoning system allows you to divide your home into separate areas, giving you the comfort and control you’ve always wanted. Zoning your home is not limited to a single story. 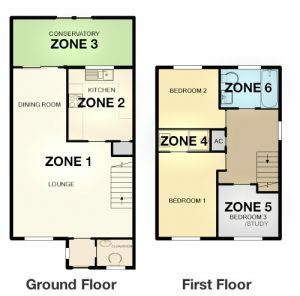 If your home 2 or 4 stories a zoning system is perfect for you. 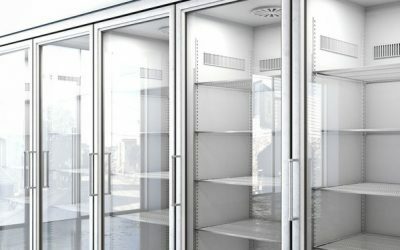 Zoning in commercial buildings is a great option for saving a ton of money by shutting of unused areas. They work by opening and closing dampers (flaps) that are installed in the ductwork. 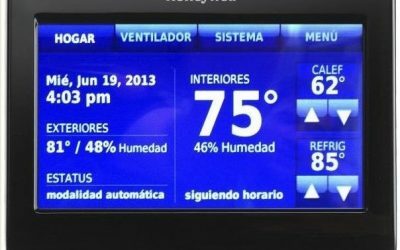 Each zoned area is controlled by it’s on thermostat. If you lower the thermostat in a particular zone, the dampers opens to allow cooling to the desired temperature, only in that zone. If you raise the temperature in a zone the damper will close until the thermostat set temperature is called for. This is perfect for controlling seperate temps through out the property. Call us today and let us show you how you can benefit from installing a custom designed zoning system for your home or business.